Divorce Attorney with 30 Years of Experience. Start Your Divorce Evaluation for a quote of attorney’s fees! Keith F. Carr is an affordable San Francisco Divorce Attorney. The Law Offices of Keith F. Carr charges affordable attorney’s fees for divorce. Do you and your spouse have an uncontested divorce case? An uncontested case means that you and your spouse agree on most (if not all issues) involved in a divorce, and you both wish to settle those issues so that the court can issue a divorce judgment without a trial or hearing. Read more about Divorce Settlement. Whether contested or uncontested, our office submits and files all documentation, advises you on important legal issues, and monitors the divorce case to make sure the court signs the divorce judgment. Attorney Keith F. Carr charges an affordable fee for uncontested divorce cases when compared to other lawyers who charge a substantial premium fee, $8,500 to $15,000 for even a simple divorce case. 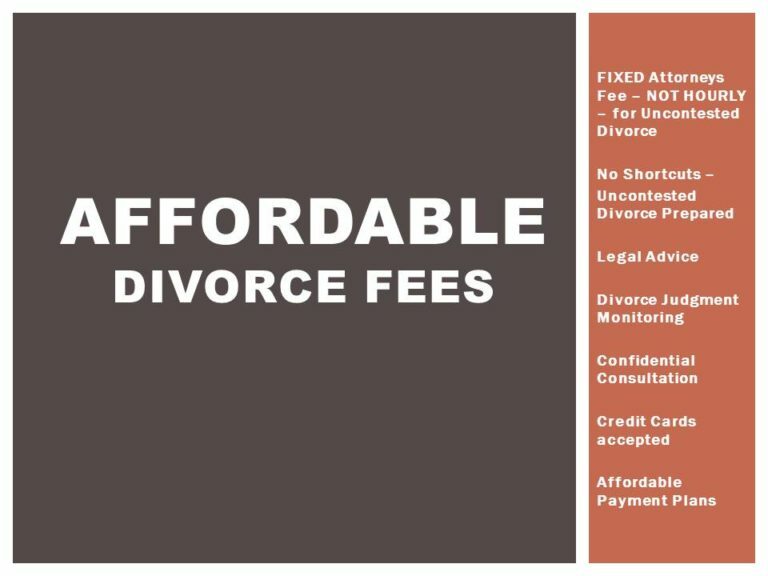 As an affordable San Francisco divorce attorney, the Law Offices of Keith F. Carr charges only a fraction of this fee that other lawyers charge for a simple, uncontested divorce case. We offer a confidential telephone consultation, divorce evaluation, and office consultation. We will include a quote of attorneys fees in your case. Your actual attorneys fees will depend on the complexity of your case and the issues involved. Payment plans are available. Visit Nolo.com to see the high fees that attorneys charge for divorce cases. We have three locations to serve you in the Bay Area. The county where you live determines where your divorce will be filed. Major credit cards are accepted and payments are securely processed. California Divorce Petition and Summons. A spouse must file a divorce petition in order to obtain a divorce in California. There are 2 legal grounds for divorce in California: (A) Irreconcilable differences; and (B) permanent legal incapacity to make decisions. The filing spouse may also request temporary child custody, child support, alimony, and stay away orders at the same time. Either the filing spouse or non-filing spouse must be a resident of California for 6 months and of the county where the petition is filed for 3 months prior to the filing of the divorce petition. For instance, prior to the filing of a divorce petition in San Francisco County, either spouse must be a resident of California for 6 months and San Francisco County for 3 months. Along with the petition for divorce, the court will issue a summons. The summons contains standard family law restraining orders. These family law restraining orders provide, among other things, that minor children cannot be removed from California without the prior written consent of the other parent or court order. 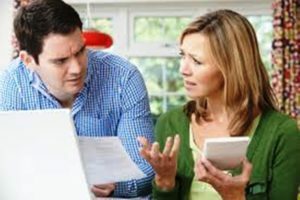 The family law restraining order also restrains the cashing, borrowing, or transferring of community property or separate property without the prior written consent of the other spouse or court order, except that such property may be used in the usual course of business or for the necessities of life. This list is not exhaustive. The filing spouse then serves the responding spouse with the divorce petition and summons. The term “serves” means the filing spouse must give the petition and summons to the responding spouse in a manner which complies with California law. For instance, the divorce papers may be served in person or by mail. The responding spouse then must file and serve a written response to the petition within 30 calendar days of being served. If the responding spouse fails to file a proper response, he is said to have “defaulted.” The court may then proceed to a divorce judgment granting relief specifically requested in the divorce petition. This called a default judgment. If a written response is filed, the parties may agree with all the issues in the divorce, such as division of community property and child custody and support. As a result, the divorce case may proceed as uncontested and the parties may submit a stipulated judgment or marital settlement agreement and judgment to the court. However, if the parties do not agree on all the issues of the divorce, then the case is contested and the court will conduct a trial. A divorce judgment will become final after the waiting period of 6 months and one day. The 6-months-and-a-day-rule starts to run when either the responding spouse is served with summons and divorce petition or a written response is filed and served in court. Whether contested or uncontested, the parties must trade Declarations of Disclosure prior to judgment in California. The Declarations Of Disclosure are a series of forms that require each party to list their assets, liabilities, income, and living expenses. In addition, the parties may discover assets, financial information, and other information through the California discovery procedures, such as written interrogatories, subpoenas, production of documents, and other discovery procedures. Pending trial, one spouse may request temporary joint or sole custody of children, child support, and spousal support, among other orders. In order to proceed with trial in a divorce, the parties must comply with all rules and regulations regarding service of evidence and trial briefs. Trial is held in which the court decides the proper division of community property and community debts, assignment of separate property, permanent custody of children, child support, and alimony. After trial, a judgment for divorce is entered. Post-judgment motions to modify child custody, child support, and alimony may be brought. Many working spouses collect stock options during marriage (especially in Silicon Valley) as a form of compensation for employment. These options are Incentive Stock Options. They are not transferable and their exercise is contingent upon continued employment. 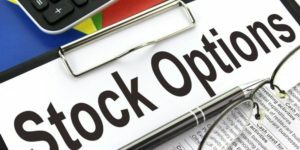 Learn more about stock options….